Certified by the NCDR and the STS since 1998, Cedaron’s CardiacCare is the industry leading software for efficient NCDR participation and registry analytics reporting. Built in partnership with the APTA, ASHT and AOTA, We are the industry’s most comprehensive electronic medical record solution, including modules for physical, occupational, hand and speech therapy. Using Cedaron reduces complications, reduces denials, and increases profitability by keeping you compliant with all payers including Medicare. complimentary and come standard with your subscription to our products. tools you need to maximize the value provided by our product. fields, and reports to cater our software to your organization’s needs. 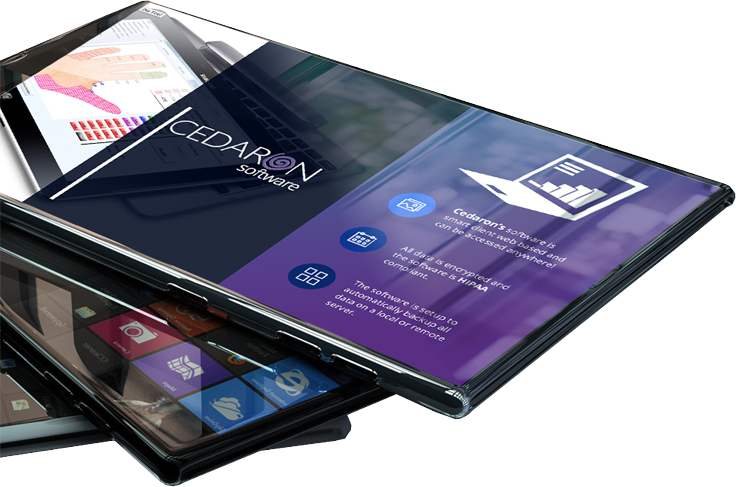 Cedaron’s customer success department is unmatched within the industry. Call our team 24/7, 365 days a year. We have a team of customer success managers always available to you. At Cedaron the people that use our technology have a vital role in our product development life cycle. Cedaron considers the end user to be a pivotal member of our business analysis team. This is how it works, frequently, conversations with the end user uncover an opportunity to create a unique Cedaron solution, and a formal system design document is the result of such a conversation. The design document is reviewed internally, another conversation with the end user takes place, and then the document is placed into Cedaron’s agile product development life cycle. For this scenario to actually work and succeed, there must be a tight relationship between the end user and Cedaron. Cedaron is committed to be recognized as the best in class solution. One recent success story is Cento Analytics designed to revolutionize clinician driven metrics of registry and outcomes data.